When Samsung launched the Galaxy S III in the UK, the device was only available with 16GB of built in storage, and no there is a 64GB model that we have been hearing about for a while on the way. 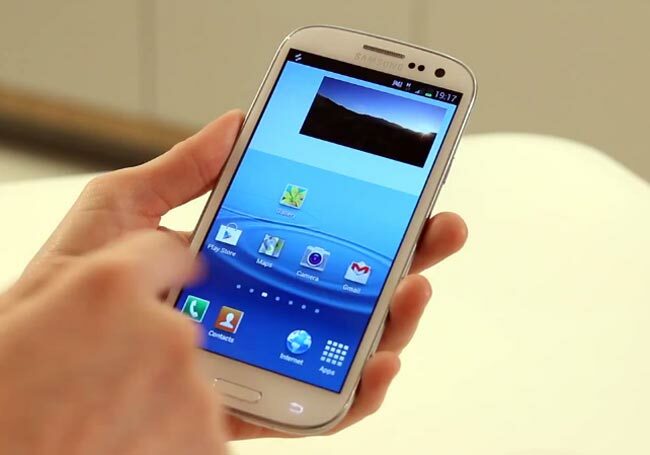 The 64GB Samsung Galaxy S III will launch in the UK within the next two months, according to Clove, and the device will retail for £600 including taxes, this is the SIM free pricing, obviously it will be cheaper upfront on contract with the various mobile providers. The Samsung Galaxy S III 64GB version will be available in black, and it will come with an microSDXC card slot, which means you will be able to add in another 64GB of storage, giving you a massive 128GB of storage on your Samsung Galaxy S III. As yet we do not have an exact launch date for the 64GB model in the UK, all we know is within the next two months, and the guys from Clove have said they are expecting the first stock some time within the next 5 to 6 weeks.